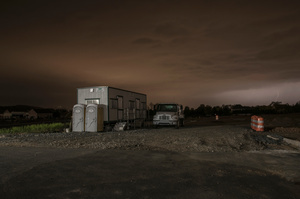 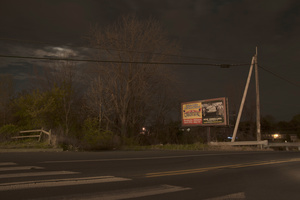 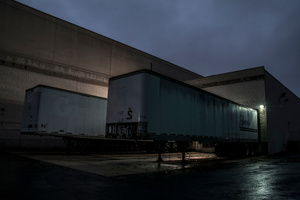 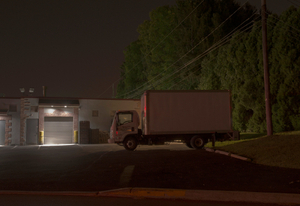 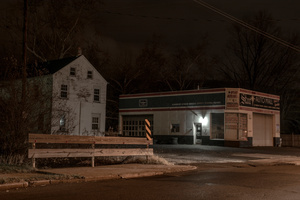 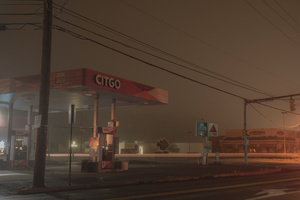 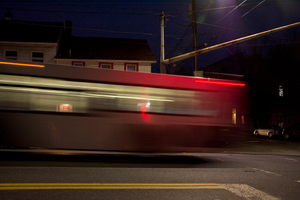 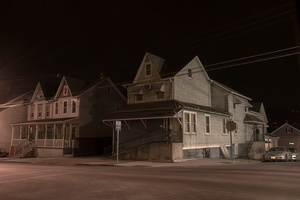 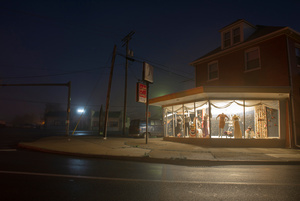 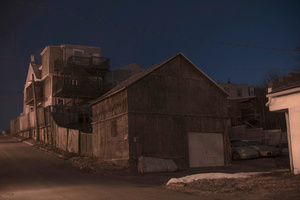 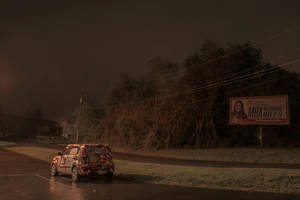 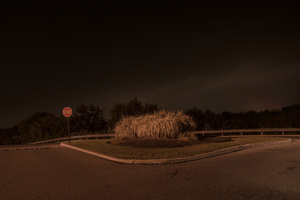 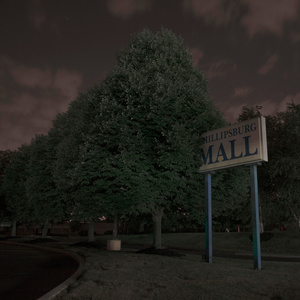 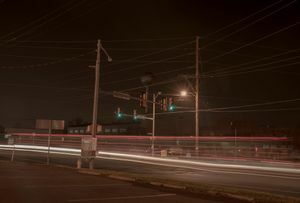 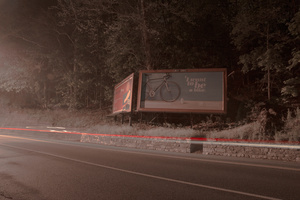 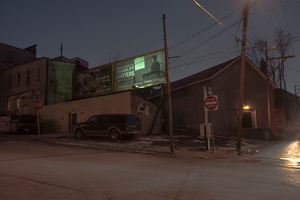 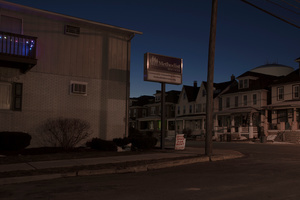 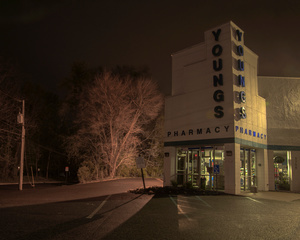 Over the last winter Peter Ydeen has been photographing at night in the Easton Pennsylvania area. 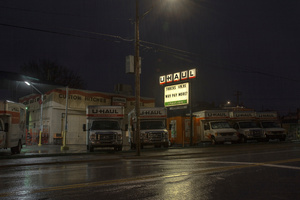 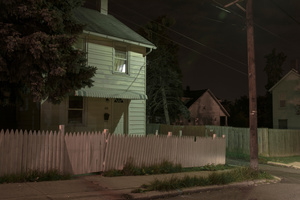 Starting with images of George Tice's elegant night shots in mind, it soon matured into much more than he had expected. 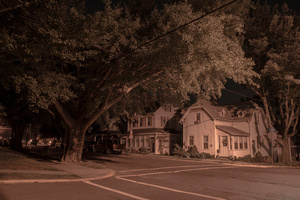 The night has it's own visual rules, it's own color wheel, and it's own ethereal presence. 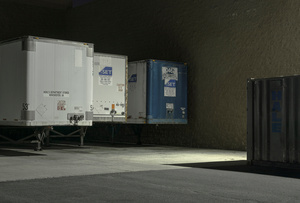 City lighting is meant to light up objects in much the same way you would light a still life or a stage set. 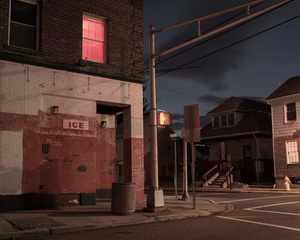 Coupled with the pink light emitted by the odd sodium vapor street lights, Easton becomes a silent city of lit stages, all in unreal color and shadow. 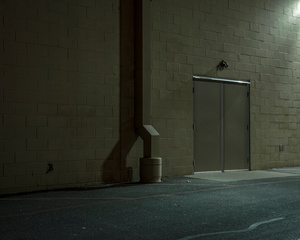 The silent and empty geometry with its decades of formation create a character and animism. 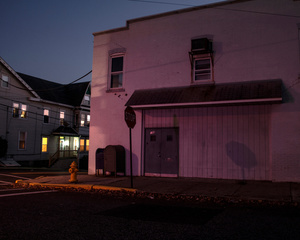 The project is both addictive and cathartic, and what started as an exercise, became an interaction with the quiet shapes and exotic lights in this offbeat city.